Who knew they had a dress code? Taken a number of years ago, here in downtown Toronto, while walking on Queen Street. with a photobud. I noticed the window display next to the sign and seeing the humour in the situation, grabbed this shot. 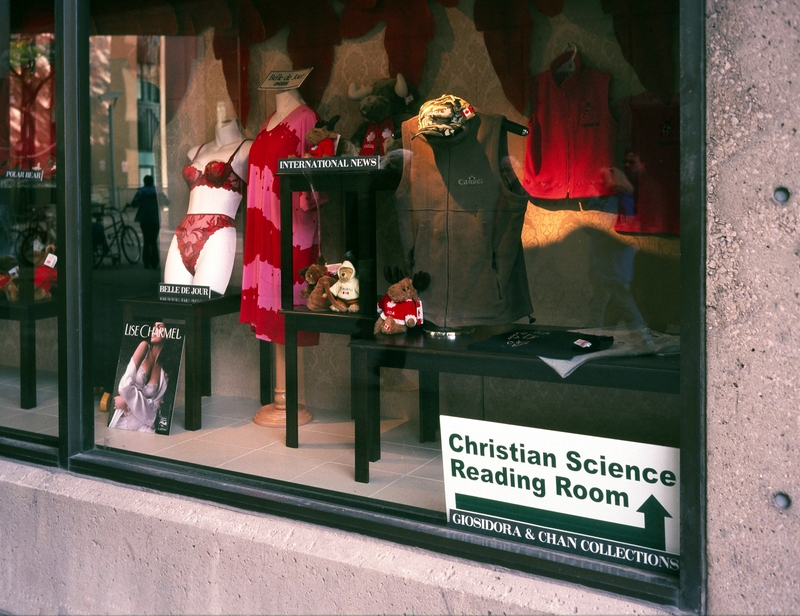 "Christian Science" is a bit off. I was immediately amused when I saw the scene and had to take the shot.